I stepped outside and saw a large corn spider outside my window. I was just thinking about taking a picture when a rather large bug flew into the web. The spider pounced on it in an instant. I ran into the house to get my camera, but it was so humid today the lens fogged up immediately. I had to let the camera warm up before I could take any usable photos. 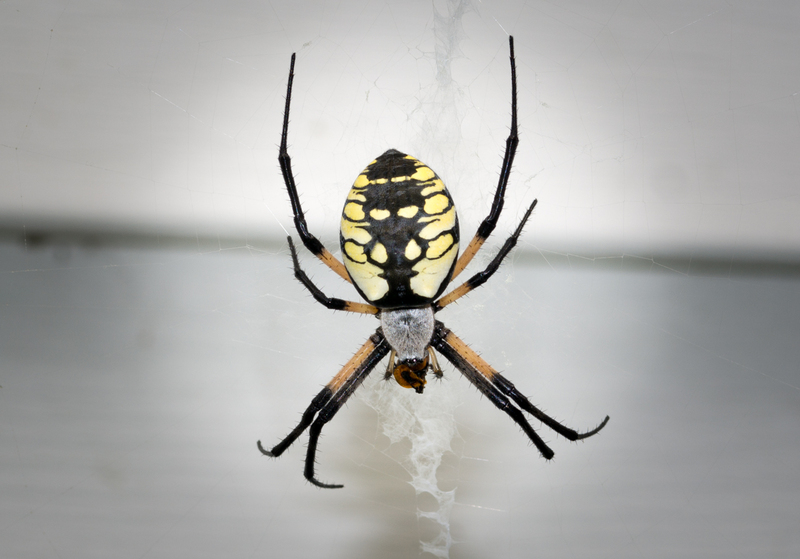 The corn spider, Argiope aurantia, is also known as the black-and-yellow garden spider, writing spider or zipper spider. 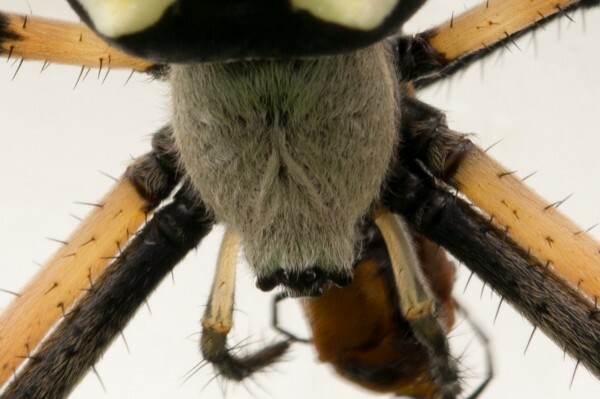 This is clearly a female, as the males are much smaller and have a narrow abdomen. They are considered harmless to humans. As always, you can click on the pictures to see a larger version. The wide version. I think I overdid the vignette. I was trying to de-emphasize the bright background without affecting the spider's bright colors. It looks alright in the full view, but in the thumbnail view it's rather obvious. Maybe try a shallower vignette? I'm not much for such effects, I'll admit, but subtly done, I'd concede they can be quite surprisingly effective. I'd sort of like to get into focus stacking, but TBH, it seems like such a drawn-out process - I've nothing against being painstaking, but my own style's very strongly spontaneous. Still, I do sometimes ponder astrophotography.